MCLEAN, Va.--(BUSINESS WIRE)--Sunrise Senior Living celebrates its 34 communities recently selected to receive the 2018 Silver – Achievement in Quality Award by the American Health Care Association and National Center for Assisted Living (AHCA/NCAL). This distinguished award is the second of three progressive levels within the AHCA/NCAL National Quality Award Program, which recognizes long-term and post-acute care communities across the United States that have demonstrated their dedication to focusing on the delivery of high-quality care and services through a commitment to performance improvement. Now with over 200, Sunrise has received more National Quality Awards than any other assisted living provider. The Silver-level award recognizes each community’s continued endeavor to explore and develop methods that help to improve overall performance and health care outcomes. In addition to submitting an in-depth organizational profile, Silver Award recipients must provide a thorough assessment of their individual approach to quality care and demonstrate its effective deployment within the community. A total of 55 Sunrise communities have now earned the Silver Award, while more than 150 others have received the Bronze – Commitment to Quality Award over the years, a prerequisite for Silver. Visit Sunrise’s National Quality Awards page for a full listing of the company’s recipients. The National Quality Award Program centers on the core values and criteria of the nationally recognized Baldridge Performance Excellence Program. The program includes three progressive levels: Bronze, Silver and Gold. Trained examiners review each member application to determine if the center has met the criteria. 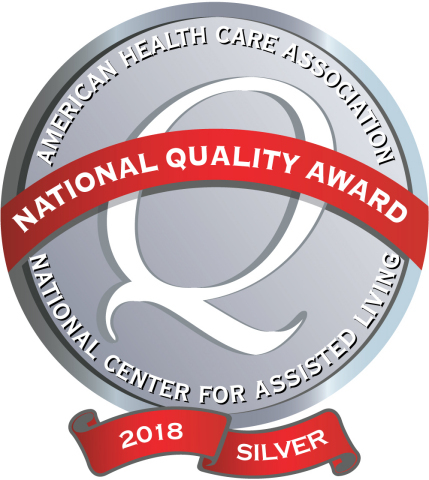 The Silver Award provides a strong foundation for taking the final step in the National Quality Award Program, which is Gold – Excellence in Quality. All 2018 National Quality Award recipients will be honored during AHCA/NCAL’s Annual Convention and Exposition, October 7-10, 2018, in San Diego, CA. To learn more about Sunrise’s approach to individualized senior care, visit the Sunrise Quality Promise page. For the latest information about Sunrise and aging topics, follow us on Facebook, LinkedIn and read The Sunrise Blog. Sunrise Senior Living, a McLean, Va.-based company, employs approximately 32,300 people. As of July 1, 2018, Sunrise operated 323 communities in the United States, Canada and the United Kingdom, including 20 Gracewell Healthcare communities, with a total unit capacity of approximately 28,000. Sunrise offers a full range of personalized senior living services, including independent living, assisted living, care for individuals with Alzheimer's and other forms of memory loss, as well as nursing and rehabilitative services. 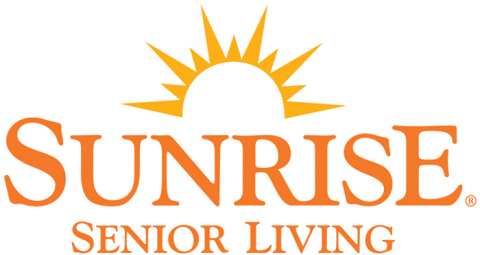 In 2018, Sunrise became the first senior living company to be ranked “Highest in Customer Satisfaction among Senior Living Communities” by J.D. Power. For J.D. Power award information, visit jdpower.com. To learn more about Sunrise, please visit sunriseseniorliving.com. 34 Sunrise Senior Living communities were recently selected to receive the Silver National Quality Award from AHCA/NCAL.